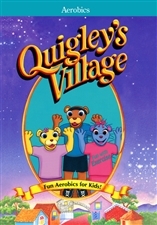 Quigley's Village provides the very best in entertainment with important lessons to help children learn & grow. Programs are fun and entertaining for children 3-6, but they are also designed to help parents teach character values to their children. Each program is on a particular value, like telling the truth. 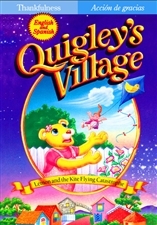 Each program has a story that children can understand that is built around a value. Each program has a Bible story that relates to the value. The stories in the program are a wonderful discussion starter for Mom and Dad to talk with their children about a particular value...an excellent aid in building godly character. Captivating and very entertaining. Young children know it is for them. Conveys a strong sense of moral and spiritual values. 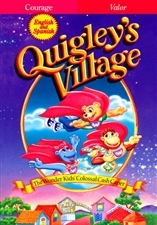 It not only entertains children, but offers a valuable moral lesson with each episode. 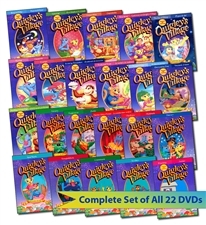 I have used these videos at church, preschool and in my home and children everywhere love them. 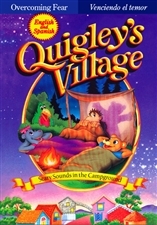 Every church should have Quigley's Village in the church library. I can't think of a better tool for building moral and spiritual values into you lives. 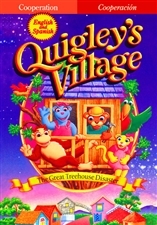 Quigley's Village is a delight. The values are solid and taught in a way that really gets through to kids. 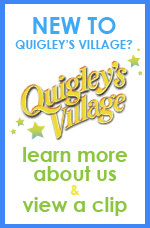 We would strongly recommend to anyone with special needs kids to consider using Quigley's Village as a teaching tool and the rest of the family will enjoy them.